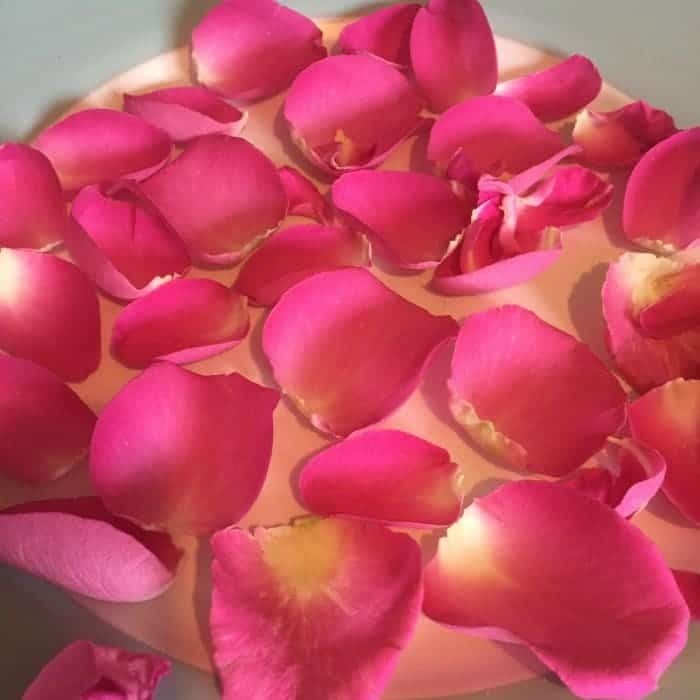 How to dry rose petals…. 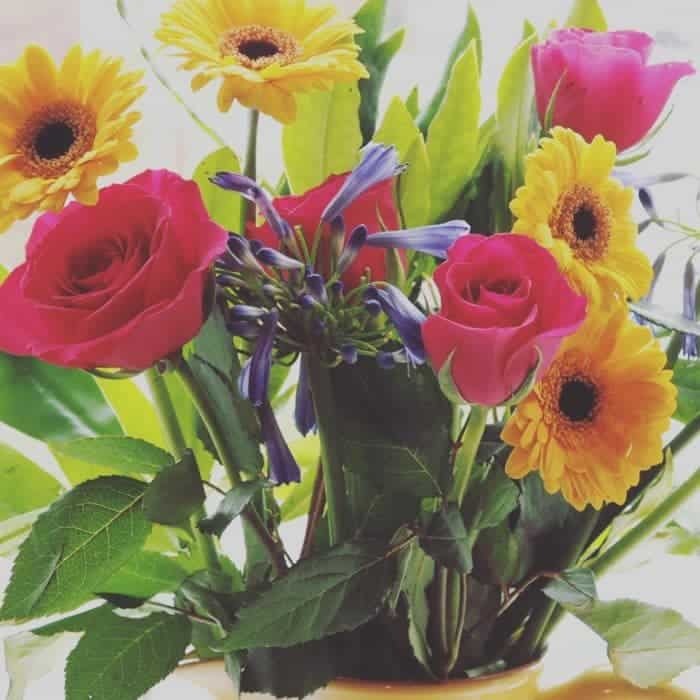 Lately, I’ve found myself popping to our local supermarket later on in the day to see if they have any bunches of flowers reduced because as much as I love having fresh flowers in my house, I’ll usually only buy them if they’re a bargain. 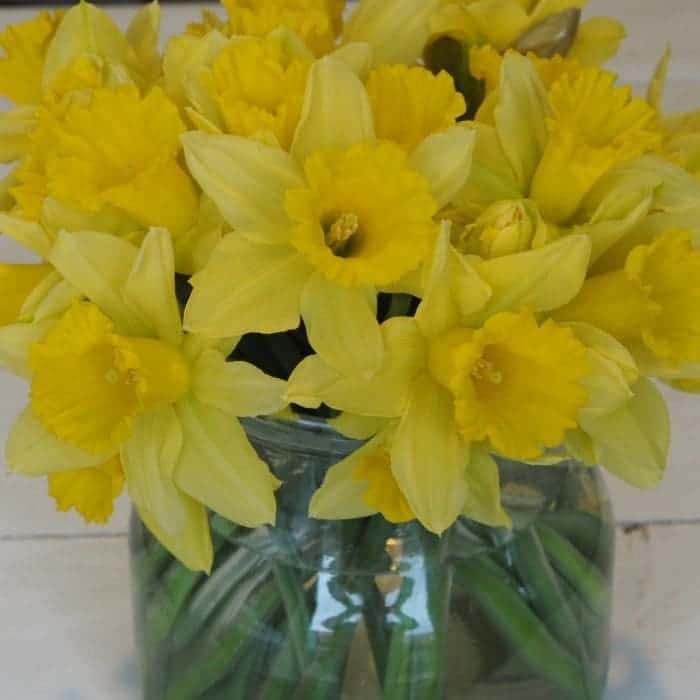 Daffodils are my favourite at this time of year because they’re amazingly cheap for how pretty they are and how long they last – this lot cost me a pound (they were half price at the end of the day in Tesco) and they lasted almost a week before they started to look a bit sad! The Bouquet was more leaf and foliage than flowers really but it looked pretty enough and although it started to look a bit droopy on day four, I managed to keep them going until day seven by removing dead bits and rearranging the perkier flowers to the front on a daily basis! I decided to have a go at being super thrifty by drying the rose petals out and doing something super crafty with them so I Googled ‘How to dry rose petals’ and set out to make some pretty little dried rose petals. I had high hopes for this little act of thriftiness and as I was laying out the petals onto my baking tray, I was already planning in my head what I was going to use the dried rose petals for. 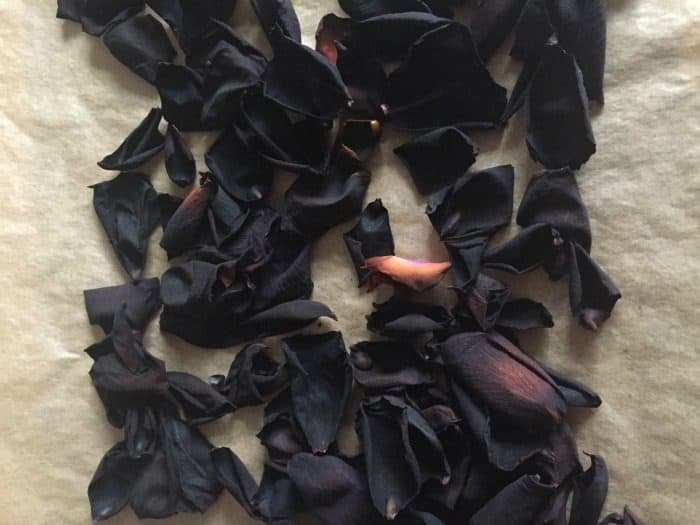 There’s lots of different methods for drying out rose petals apparently but the how to dry rose petals search seemed to be the easiest and lots of people told me via the magic of Pinterest how successful this method had been for them. I turned my oven up to 200 c and popped in the tray of petals, making sure I set the alarm on the oven for 6 minutes which was a full four minutes less than the instructions told me as I didn’t want them to burn! 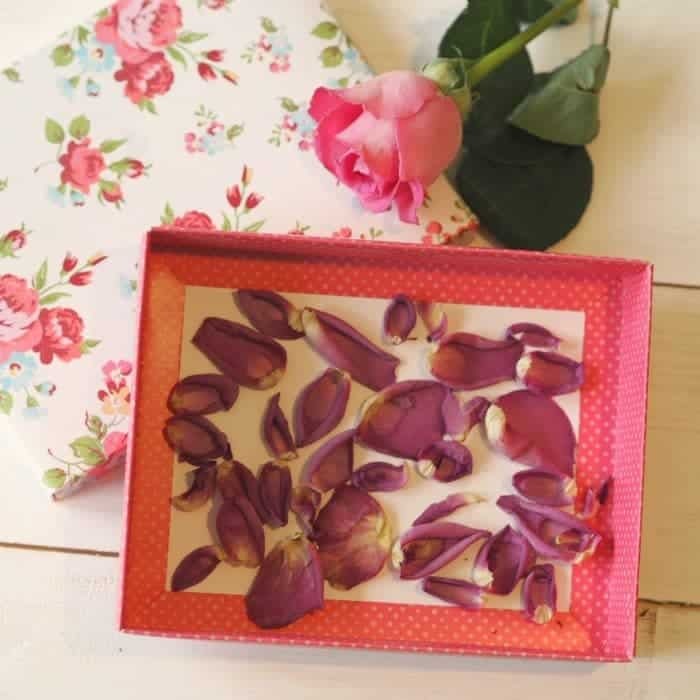 Turns out the dry them fast method isn’t necessarily the best one to use so if you’re here to find out how to dry rose petals then this isn’t one I would really recommend! I’m not entirely writing off the oven method though as I think a lower temperature and a closer eye on them would still work but I do like a quick result so I thought I’d try them in the microwave next. I only did one rose at first because I didn’t want to waste yet more roses if this went the same way as the oven method! That’s a lot of petals for just one rose isn’t it? I popped the plate in the microwave and did three 30 second blasts to start with and after that, I did smaller 10-15 seconds bursts checking the petals each time. 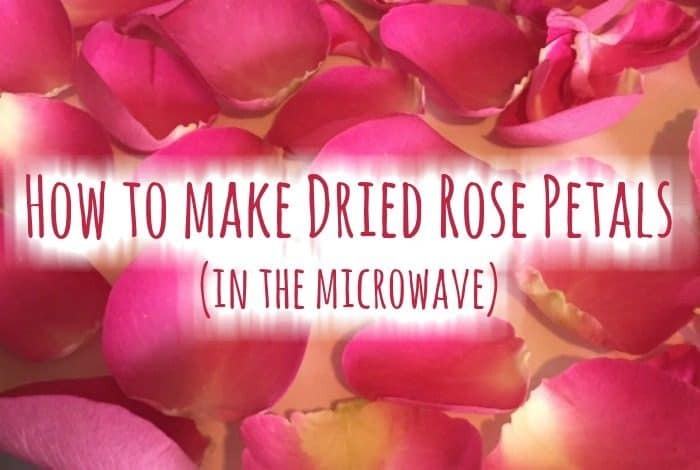 It’s very difficult to say how long your rose petals will take to dry out using this method as it depends on the wattage of your microwave, how many petals you have and what stage your petals are already at. An older rose will have less moisture in the petals so will take less time to dry out whereas a fresher rose will take longer. Basically, you can just keep blasting it until there is no moisture left in your petals at all and when you get to that stage, you’re done. These petals are perfectly crisp, smell amazing and still look pretty so I’m going to class the microwave method as a success and when the bunch of roses I’ve just bought from Tesco is starting to look past it’s best then I’ll microwave them one by one so I have a stash of these pretty little petals. 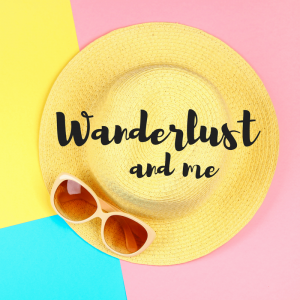 And if you’re wondering what on earth you would do with a stash of dried rose petals then stay tuned because I have a huge list of things to share with you next week. 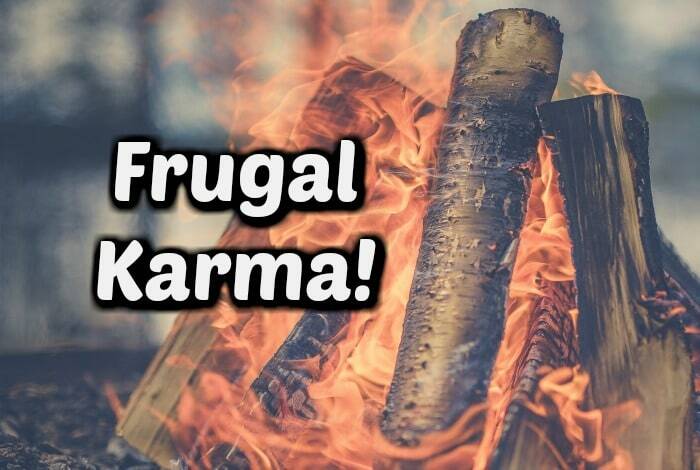 Frugal Karma in the form of a mini house fire….